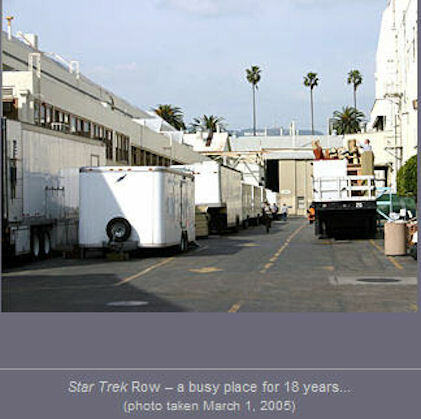 The original Star Trek series was filmed primarily on the Desilu Studios soundstages 9 and 10, located within a large complex of buildings at the north east corner of Gower Ave and Melrose Ave in Los Angeles, California; adjacent to the Paramount Pictures lot. 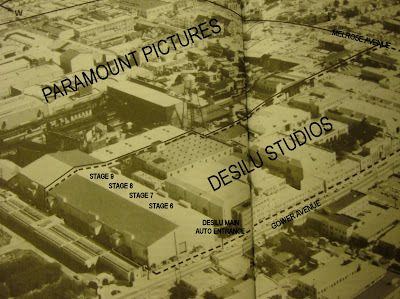 These stages were later renamed 31 and 32 after Desilu merged with Paramount around December, 1967 following its sale to Gulf &Western, the parent company of Paramount. 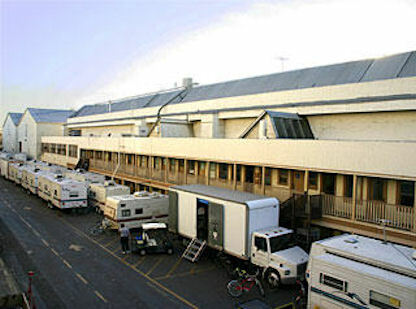 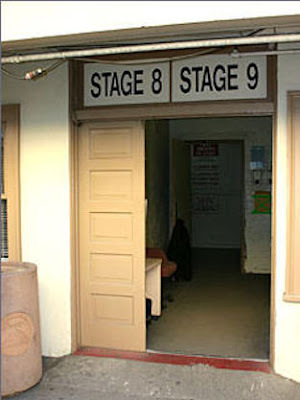 Stage 9, which housed the permanent sets for the Original Series (consisting of the Bridge, Engineering, Sickbay, the Transporter Room and a long curving Corridor of the Enterprise) has a remarkable history of service to the Star Trek franchise. 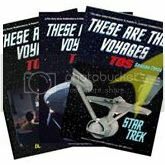 In 1978 it was assigned to the production of Star Trek: Phase II, which witnessed the construction of new sets and screen tests before the project was transitioned from a television series to “Star Trek: The Motion Picture”. 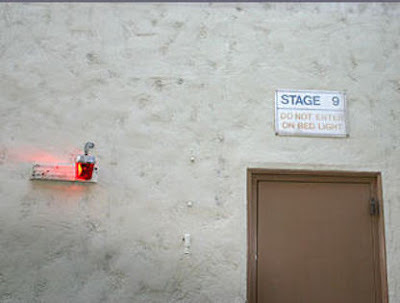 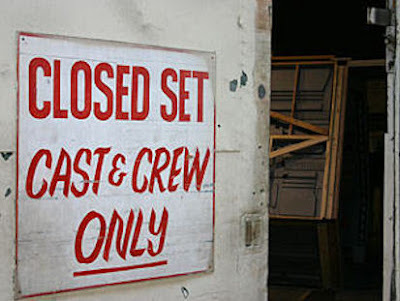 Stage 9 was then used for the filming of the Star Trek II, III, and IV feature films; which were released roughly every 2 years during the ‘80s; and was then dedicated to Star Trek: TNG from 1987 to 1994, Star Trek: Voyager from 1994 to 2001 and Enterprise from 2001 to 2005. 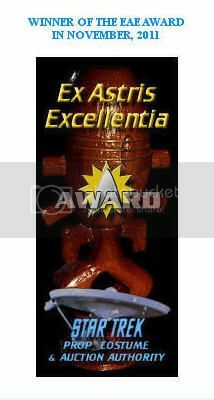 That is approximately 27 years of continuous usage ending in 2005 and over 30 years of Star Trek service in a 40 year span. The somewhat triangular region at the end of the main engineering room was the “forced perspective” mockup of the Impulse engines power conduits, designed to present the appearance on-camera of a much larger engine room. 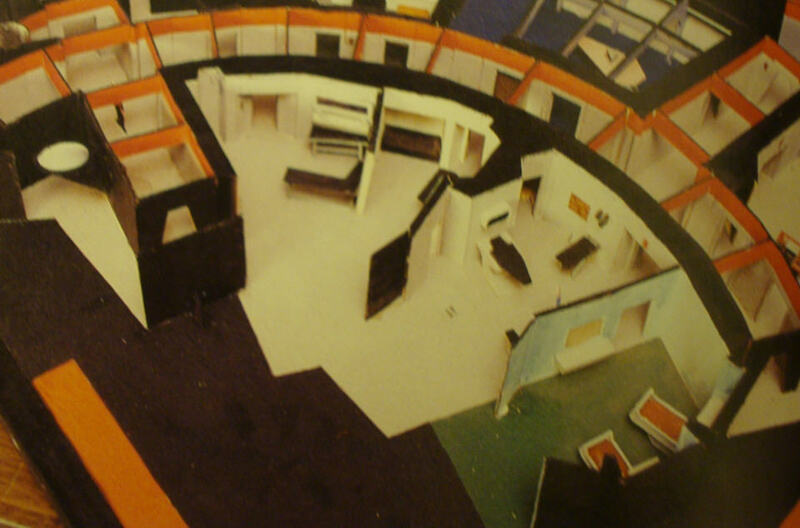 Also, note that considerable empty floor space was provided outside the Bridge perimeter so that the production crew could slide-out any pie-shaped section of the Bridge set as required to accommodate the setup of cameras and lighting equipment for the desired filming angle. 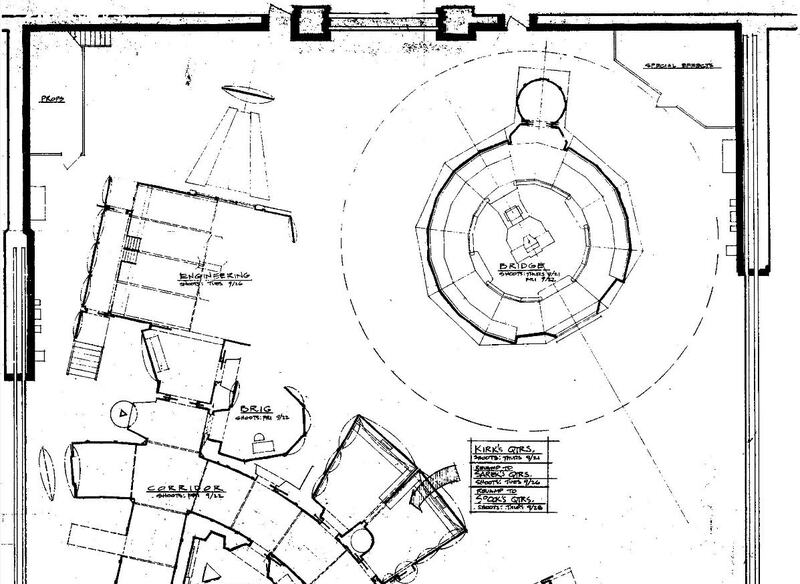 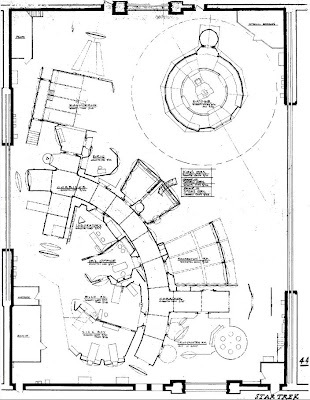 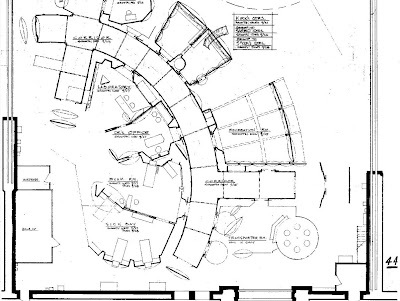 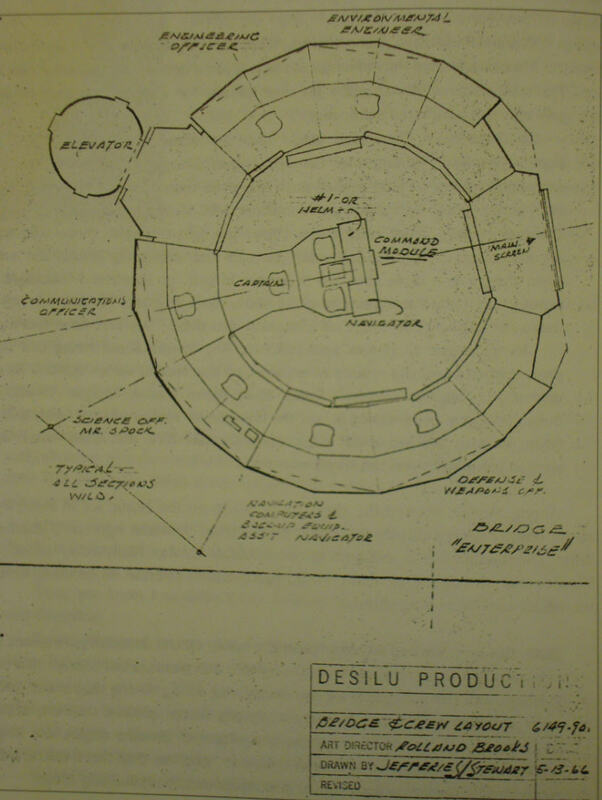 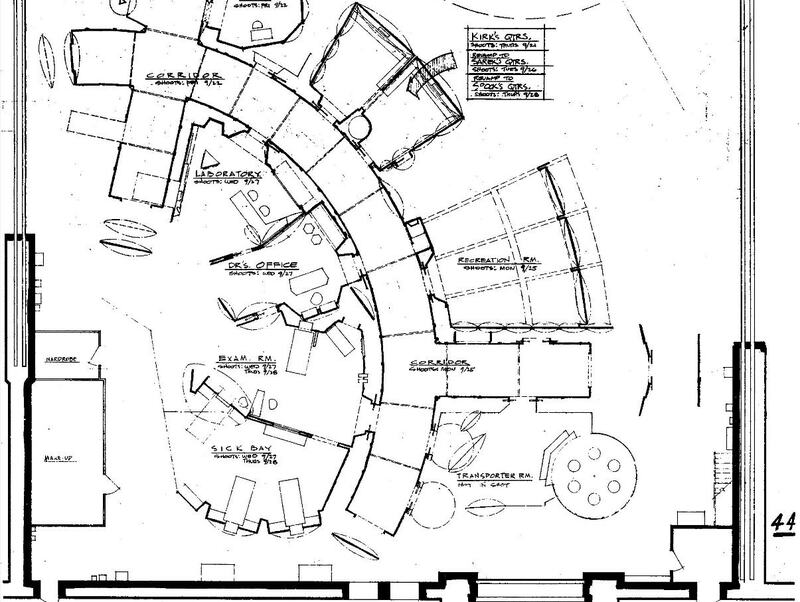 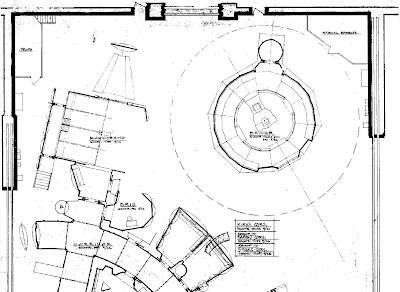 Since the Enterprise Bridge set was essentially a complete circle with the large viewing screen in front and consoles around the rear circumference, it had made sense to divide the set into a number of pie-shaped sections. 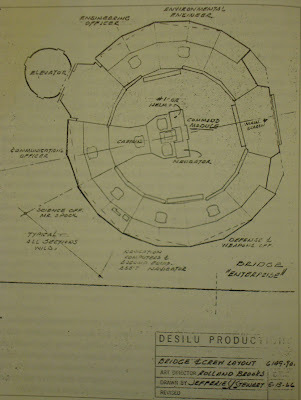 Each section was then further divided into three pieces stacked one atop the other. 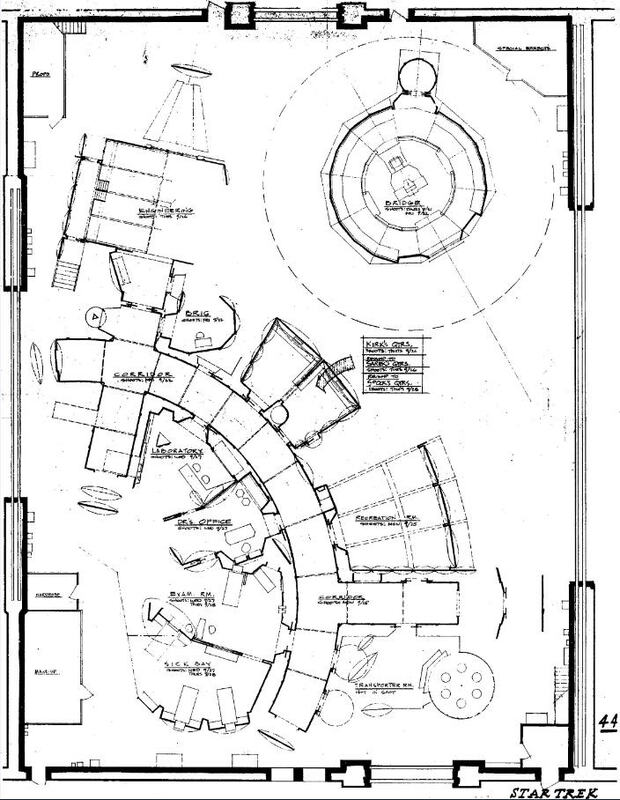 The bottom piece contained the console section where the actors sat; it had wheels to facilitate being moved. 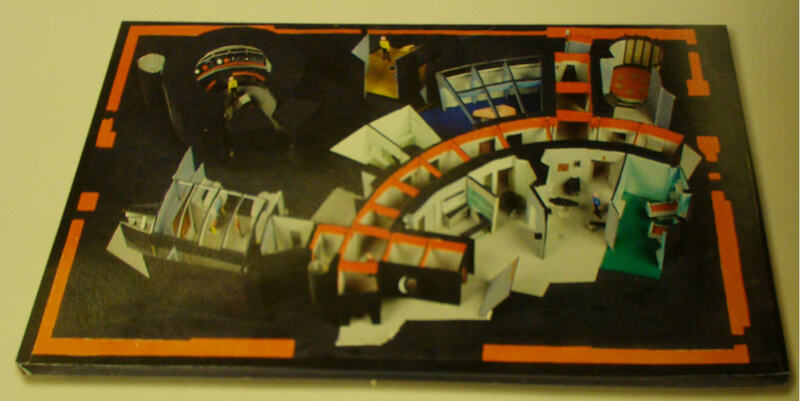 The middle piece contained the various readout screens above the console, and the top piece contained large static visuals and built-in overhead lighting “cans.” The middle pieces could be pulled out without disturbing the upper sections, which were anchored to the lighting scaffold directly above and surrounding the set. 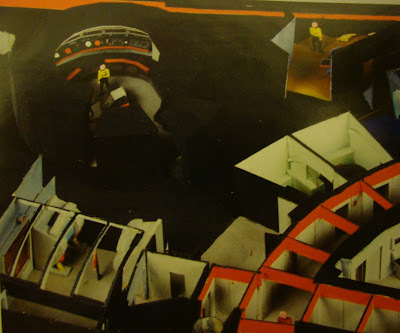 Jim Rugg, the inventive new special-effects supervisor who had been hired for the series on director James Goldstone’s recommendation, rewired each of the three sections separately so that no matter which piece or section of the bridge was moved, the remaining complicated and delicate electronic readouts could function undisturbed. 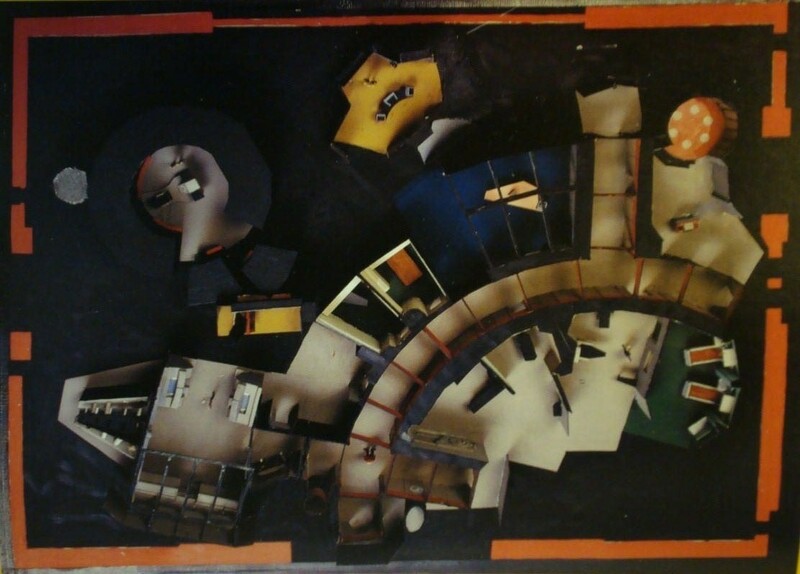 To construct all the pieces of the new set, Roy Long built one complete three-piece section that was then used to make a mold from which all the other sections were cast, using a new, lightweight, foam plastic. 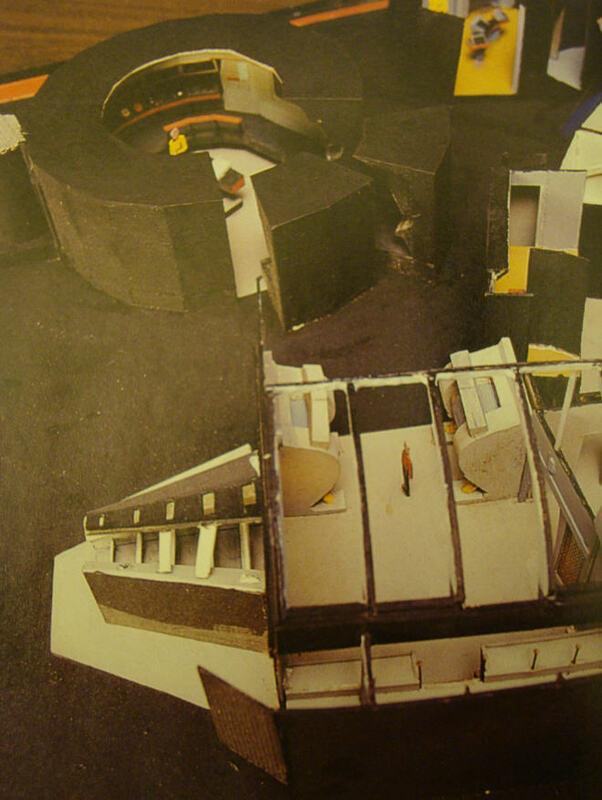 Lightweight was purely a relative term; the support framework was still made of wood. Compared to the wooden sections, the pieces were in fact lighter. 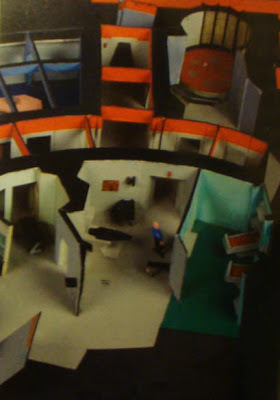 Matt Jefferies and Roy Long had come up with an ingenious solution to a difficult problem.